There have been two noteworthy security events in Philadelphia this month, one of which was due to extremely poor decision making by a TSA employee, and the second involving a simple cultural misunderstanding. A recent article from the Philadelphia Inquirer described a January 5th event where a TSA employee questioned a passenger about a small plastic bag of white powder that he pulled out of her carry-on bag. The passenger, a college student flying that day from Philadelphia to Detroit, was stunned since she had no idea where the small bag of white powder came from and how it got into her carry-on. After a few seconds of confusion, she found out where the bag came from and how it got into her carry-on. The person responsible for it was the same TSA employee who confronted her. While the TSA employee apparently thought it was a big joke, the passenger had an entirely different opinion. The Detroit Free Press reported that she asked to speak with the airport’s security director and filed a complaint, and that two days later the airport notified her about disciplinary action against the employee. The disciplinary action didn't stop at there. Ann Davis, speaking on behalf of the TSA wrote that “TSA viewed this behavior to be completely inappropriate and unprofessional.” The TSA's blog site reported that the employee was no longer employed by TSA as of January 21st. The passenger described her ordeal in detail in an article in the Michigan Daily newspaper. This story may not end here. The Inquirer also reports that the father of the passenger involved in this incident is a Philadelphia litigator. What started as an attempt to pray on an aircraft turned into a security alert that included an aircraft diversion and two innocent teenagers hauled away in handcuffs. 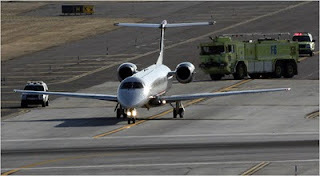 On January 21st, US Airways Express Flight 3079 was en route from New York's LaGuardia Airport to Louisville, KY when it was diverted to Philadelphia after a flight attendant saw a young passenger strapping a device to his wrist and head. The flight attendant asked the passenger what he was doing, and he responded that he was praying. The flight attendant, who apparently was unfamiliar with this type of prayer. She described what she saw to the flight crew, and the flight crew decided to divert to Philadelphia, where the aircraft was met by police and other security officials. It turns out that there was no bomb and in fact no threat to the aircraft. 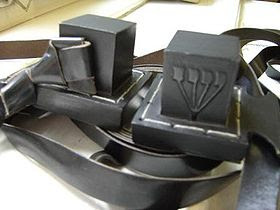 The passenger was using a tefillin, which are leather boxes containing scriptures that observant Jewish men wear on their foreheads and arm and fingers during obligatory weekday morning prayers. 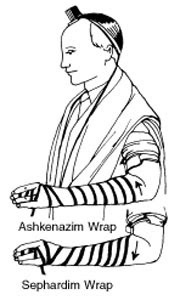 Typically leather straps are used to secure the tefillin to the body. What started as a misunderstanding about a totally innocent event ended up being a less than pleasant experience for two children on the flight. According to an article in the New York Times, police entered the aircraft with guns drawn and later both the boy who was using the tellifin his sister who was traveling with him were put in handcuffs and briefly detained before eventually being allowed to continue to their destination. While it appears that neither the crew, the praying passenger, police, and other security officials all seem to have been acting in an appropriate manner, it is clear that this kind of misunderstanding could easily occur again. Perhaps the most sensible suggestion to come out of this event was made by the young passenger's rabbi, who suggested that in the future that he pray on the airplane, but fulfill the ritual by putting on the tellifin later. Poor guys, this is getting out of hands, so supposely, if a catholic wishes to pray on a plane, he better remove his cross chain and his rosary, in case there´s a bomb inside each bead, or maybe the hindues should remove their dot from their forehead, just in case it´s made of explosive... crazy, you guys exagerate. My comment needs to go through censorship??? Uauuu, even more amazing! !